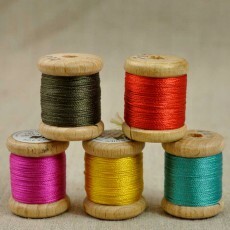 The silk thread is the traditional hand embroidery thread for several centuries. As Soie d'Alger or Soie Perlée, we have selected for you the Au Ver à Soie French brand offering thread of such quality that they are not twisted during the embroidery work. 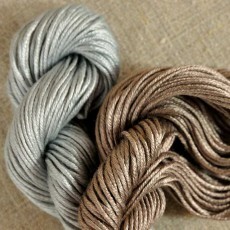 In addition, their gloss is perfect because yarn directly from the cocoon of the silkworm. 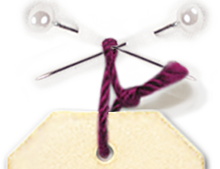 Soie d'Alger, sold by the meter , with 7 splittable threads , is particularly recommended for the cross stitch, works extremely fine are achievable. 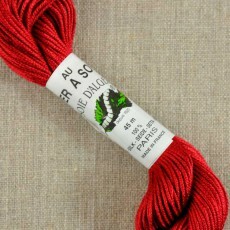 Soie d'Alger is available in 620 colors. 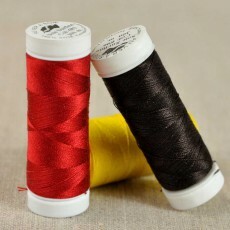 Soie Perlée, available in reels, can't be split, is perfect for traditional embroidery ( the Glazik Breton for example), cross stitch on linen and silk, Hardanger and even old fine canvas. 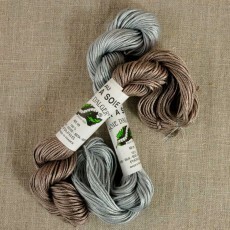 Soie Perlée is available in 365 colors. To prevent the skin of the hands grip on silk during work, we offer a cream specially designed by Au Ver à Soie, very effective.